Zen gardens with their gravel patterns are usually the first association people have when thinking about Japanese gardens. Reduced colors and little vegetation let the eye rest and calm the mind, giving the garden a peaceful atmosphere. 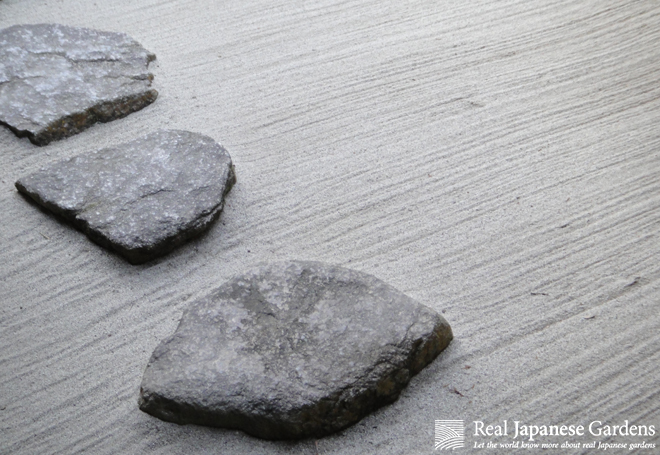 This is where a subtle, yet intriguing design feature of Japanese gardens comes into play – The carefully raked gravel patterns of rock and sand gardens. When the low morning or evening sun casts long shadows in the garden, the texture of rocks and gravel take center stage.